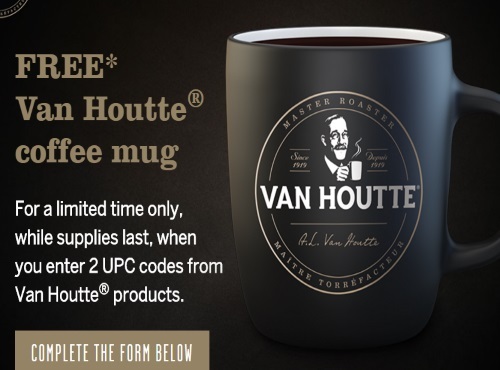 September 6 - Van Houtte is giving away Free Coffee Mugs! Get yours while quantities last, when you enter 2 UPC codes from Van Houtte products (codes provided below). Allow 6- 8 weeks for delivery. 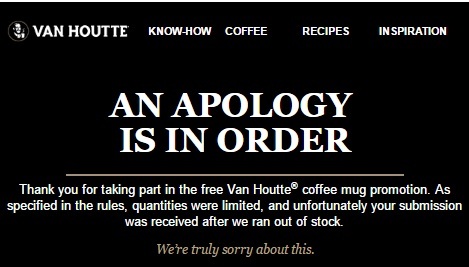 Update November 23 - I got an email from Van Houtte today with an apology, they expressed that the free mugs were in limited stock and I had ordered mine after they were already out. There is also a $2 off promo code to use on any Van Houtte product on the Keurig Canada website. Click here to get your Free Mug.